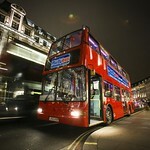 London's number 1 double decker bus 2 bars and nightclub tour. 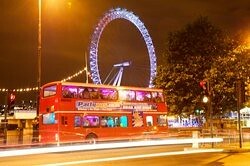 This Partybus takes you on a tour with stops at 2 bars and a final destination stop with Q Jump at a top London Nightclub. 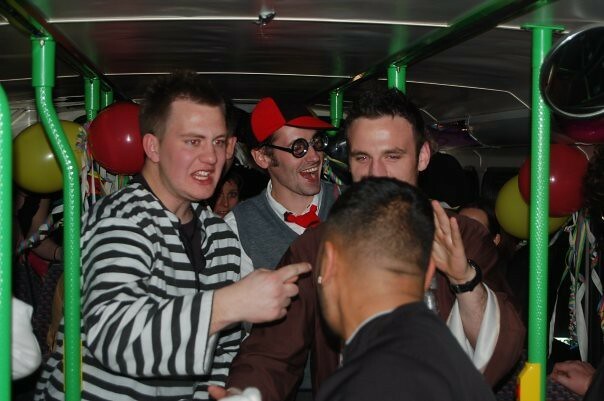 We started the Partybus tour because we were sick of those nights on the tiles that seemed to involve slumping in some bar getting more and more smashed. So, we thought: let's make a night that keeps moving and grooving, gets out and about and feels a little different. Hola - the Partybus tour was born. We start the night off by collecting you from a central bar or even in some cases from your home/hotel if it is possible. For those of you who want to kick the night off with grub, we can also arrange a pre-flight meal in central London. We will collect you from the restaurant at the end of the meal. After collection we drive around town introducing you to the Partybus experience, playing some music and getting everybody into the spirit of the night. Just as you might be getting a little thirsty, we drop you into a bar for a well deserved quenching of palates. 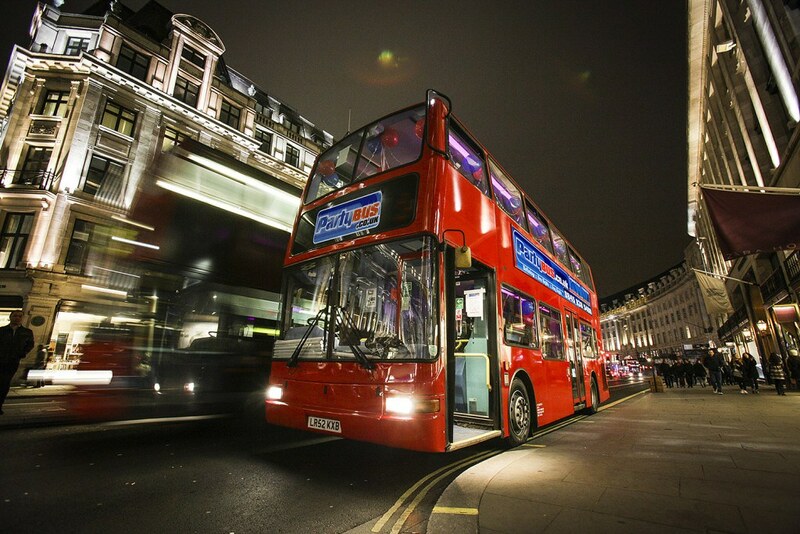 After a drink or two, it's back on the bus for another tour and for those with a naughty sense of humour a chance to play some tricks on bride or groom or birthday boy or girl. 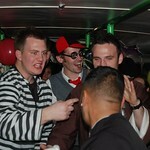 There is another pit stop and then after some more sights we Q Jump you into a nightclub for a night of frantic dancing. 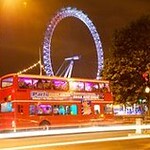 Why London groups love a night out on a party bus? No effort in terms of planning your night! 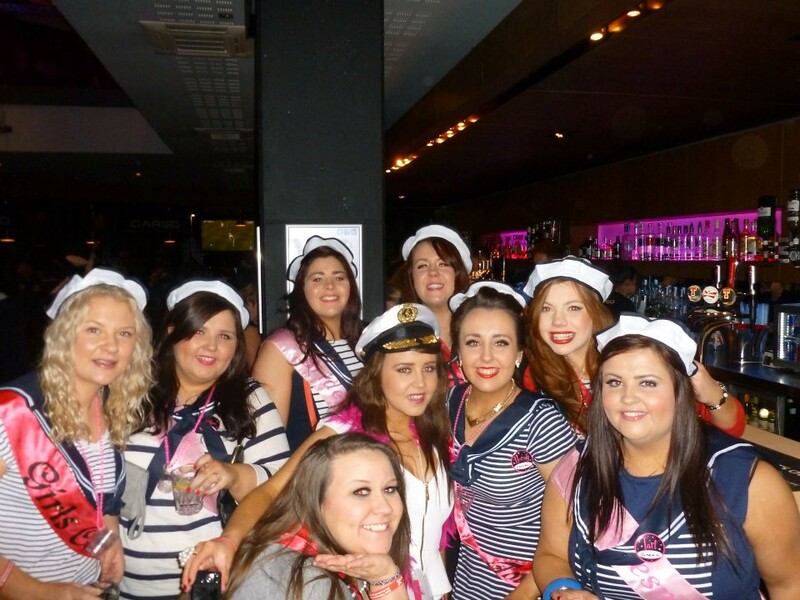 The PartyBus ensures the best laughs, the best fun and the best Stag or Hen Night party atmosphere in London. 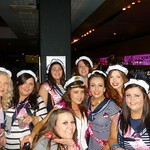 The bars and clubs are pre- booked by us, with entry guaranteed-unless your are totally wasted! Sorry no Stag groups allowed on our London bar tour.